Where does wine come from originally? There are lots of legends about the origins of wine, including a Persian King’s rejected lover attempting to poison herself with spoiled grapes found in the royal pantry. The legend says that she didn’t die as she had expected, but instead felt a lot better and this accidental discovery became a hit with the King and Persia from then on. The truth of course it that to date we can’t be entirely sure as to why wine came about, since its earliest history predates written records. But since fermentation can occur naturally, it’s not unlikely that (like the legend above suggested) wine was an accidental – even if exciting – discovery! Wine quickly became an invaluable commodity. Not solely for recreational reasons, or religious significance, which it certainly had in Ancient Greece, Egypt, and Rome, among others. Consider that a great deal of human history faced the deadly problem of undrinkable water and finding ways to make it safe for drinking. Wine (and also beer) became a way to make water safe to drink (as it acted as an antiseptic)! Let’s fast forward then to Italy in order to stay on topic: Viticulture, that is grape-growing, was introduced to Southern Italy by Greek settlers. By around 800 BCE Greek colonization was extensive and wine making was already well established. The Greeks found Italy so perfectly suited to grapevines and wine making that they named it Oenotria meaning roughly “land of vines”. As is with most traditions and discoveries, viticulture and viniculture (wine making) innovations were adopted from the Greeks by the other inhabitants of the Italian Peninsula: the Etruscans. The Etruscans embraced, practiced, and even improved wine making, which was then in turn taken on by the Romans. 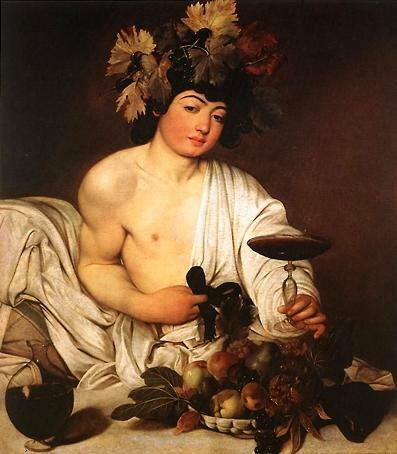 By the 2nd century BCE wine making had flourished immensely, as Romans invested a lot into vinicultural technologies and arguably more importantly defeated other civilizations like the Carthaginians (known wine masters). In order to satisfy the enormous Roman thirst for wine, large scale wine production in the form of slave labor on grand plantations came about. At this point production was legally forbidden outside of Italy, which made it an extremely valuable commodity for the Romans to trade (usually in exchange for more slaves). Wine production in Italy at this point was so exaggerated that around 92 AD they had to actually pull out vines to make room for growing food for the population! Romans are credited with discovering that wine can improve when aged properly, and with perfecting ageing processes and developing better containers (ie: the wooden barrel, glass containers, and maybe even corks). The eventual relaxation of laws regarding wine making outside of Italy allowed for the rest of Europe to produce their own wines, some of which prospered very quickly, like France. Demand for wine decreased after the fall of the Roman Empire, but some credit the persistence of the wine making tradition in Italy to the Roman Catholic monks who continued to produce wine through the Dark Ages, it being a necessity to their faith. In the 19th and 20th centuries Italian wine suffered a great deal of criticism as being poor in quality due mainly to overproduction and a lack of regulations guiding certain aspects. Italy eventually responded by adopting a similar appellation system to France’s post-phylloxera crisis regulation system, which includes the DOCG and DOC designations you might be familiar with among others. Today, Italy tangos with France each vintage (=year) for the #1 spot as largest wine producing country in the world. All 20 regions of Italy proudly produce wine, with some examples being considered among the best wines in the world. Italian wines today enjoy a reputation for being incredibly “food-friendly”, meaning they go well with a large variety of different dishes, Italian or otherwise. Italy is home to more than 1,000 native varieties of grapes, and is finally bouncing back from past criticisms. It’s reminding the world of some of the reasons why Italian wine is so great: namely the great variety in grapes, soils, and regions, means you can drink a different wine every night of the year, without getting bored (and without going broke for that matter). This entry was posted in Historical Stuff, Italian Wine FAQ and tagged Ancient Greece, Ancient Rome, Armenia, Etruscans, Geiorgia, Greeks, Italian Wine, Italian Wine History, Italy, Persia, Vino, Wine, Wine History. Bookmark the permalink.